This page will be updated with current exhibitions in Africa as and when information is these happen and I am informed. Artists may depict any indigenous botanical material including all types of plant material from shrubs and trees to grasses, flowers, lichen, mosses and fungi. Subject matter MUST be indigenous to southern Africa, from within the boundaries of: South Africa, Lesotho, Swaziland, Botswana, Namibia, Zimbabwe and Mozambique. Not including the islands off the mainland. Plant - Link in title goes to online exhibition of artwork in the exhibition. 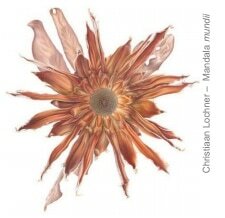 an exhibition of fine contemporary botanical artwork depicting the rich diversity of Southern African flora. focuses on the indigenous plant life of South Africa. showcases top South African botanical artists as well as artists from different parts of the globe. The exhibition started in 2000 and ran every other year until 2015 - when the exhibition was postponed until 2016 - but nothing happened. ​It doesn't appear to have a website. Accordingly artists wishing to find out more about the Biennale or submit work should consult. Those living near any of the Botanical Gardens can seek their help with access to plant materials. Media: all two-dimensional media, including watercolour, gouache, oil, acrylic, tempera, collage, original graphic works in pen, pencil, etching, engraving, linocuts, silkscreen and woodcut. All four artworks submitted are considered as a whole, not just the “best” of the group. Making a unique contribution to botanical art. Kirstenbosch Biennale 2016 "Trees of Sub-Saharan Africa, Madagascar and Zanzibar"